This is my Mom's recipe for the Mangalore Bafat/ Baffat/ Baffad powder. 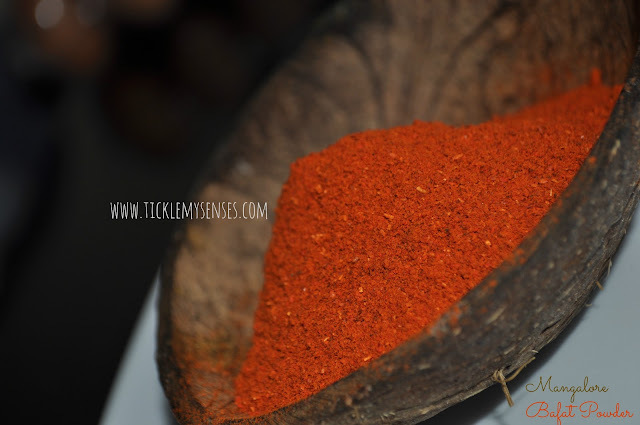 She uses it to make her famous Pork Bafat which is very well appreciated, loved, and a BIG HIT at many parties!! 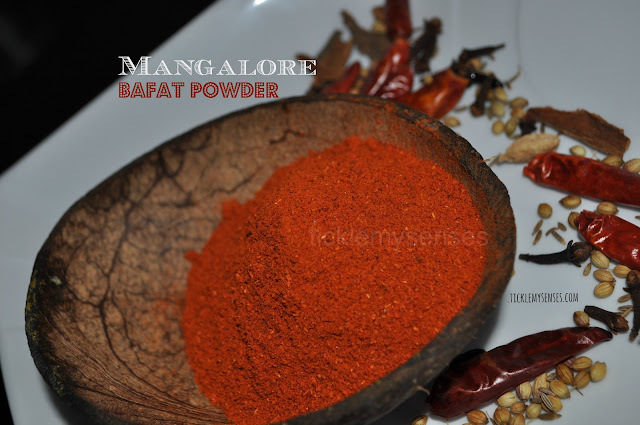 Ready made Bafat powder is available in most Mangalore stores and is good, but nothing to beat the freshness and fragrance of homemade Bafat powder. If preparing a bigger quantity keep in an airtight container in the fridge. Will keep fresh for upto 12 months. 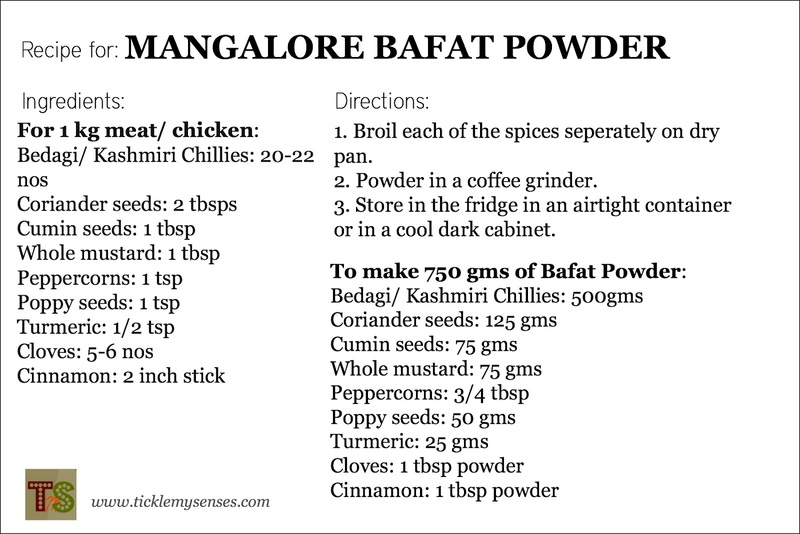 More Bafat recipes on the way! !